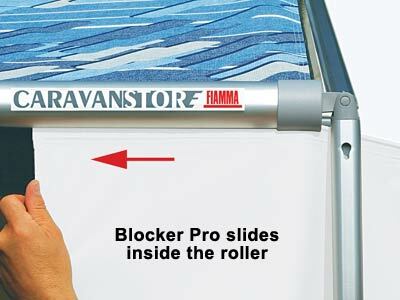 The Fiamma Blocker Pro front panel is equipped with one large full light crystal window and vinyl mudwall base. 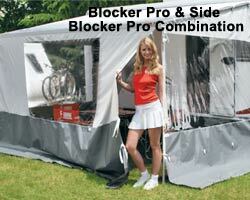 The Fiamma Blocker Pro provides more privacy and protection against the wind and light rain. Made of rot-proof vinyl, washable fabric with UV protection. 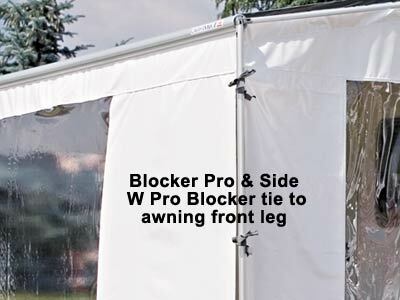 Blocker Pro ties to the front awning legs and is simple to install using elastic hooks and pegs provided. Can be used in combination with any Fiamma Side Blockers. 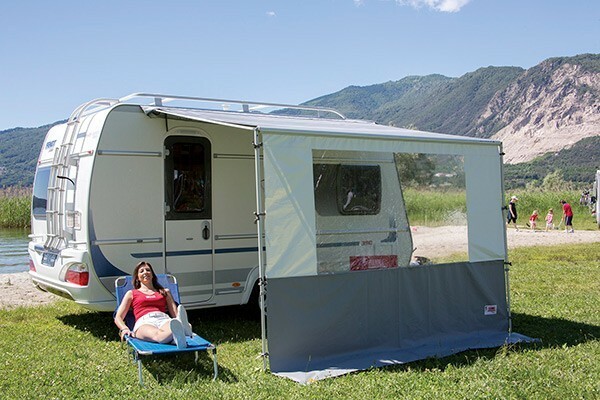 Suitable for installation to Caravanstore awnings from 2004, F35 Pro and Fiamma Sunstore Awnings. Also suitable for Fiamma motorhome awnings and some other awning brands. 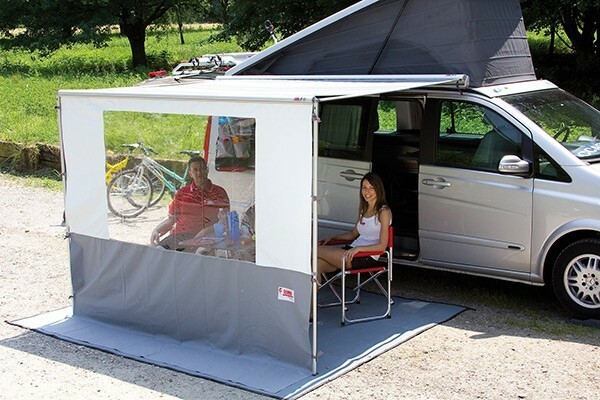 The version VW T5 (item number 97960-13-) is also suitable for Omnistor 5102 VW Awning. For available sizes see chart below. 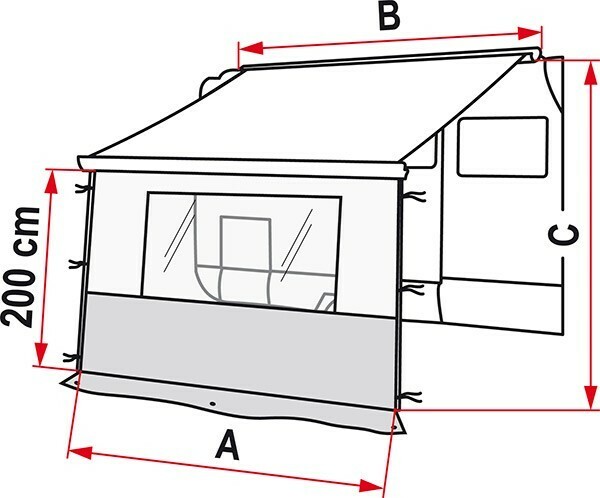 Select version to match your awning model and length.